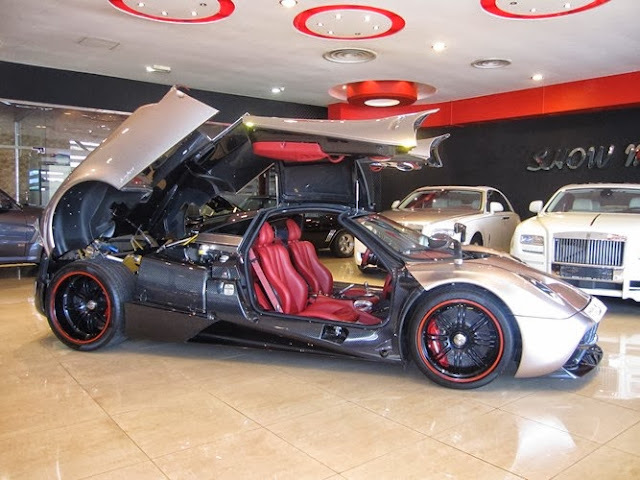 This Pagani Huayra from Qatar has been put for sale few days ago by Show Motors in Dubai. The car is brand new and in excellent conditions, it has been built during this year and it is the twenty-third Huayra built. The price is on request. - Carbon fiber rear light surrounds.